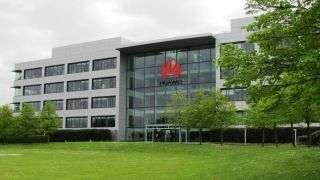 Huawei could still end up being banned from building UK’s 5G infrastructure, not due to surveillance rumours, but because of ‘shoddy’ engineering practices according to new reports. Speaking to BBC Panorama, GCHQ's Dr Ian Levy said Huawei could end up pushed to the sidelines of what it calls the ‘brains of the 5G network’. "The security in Huawei is like nothing else - it's engineering like it's back in the year 2000 - it's very, very shoddy. We've seen nothing to give us any confidence that the transformation programme is going to do what they say it's going to do." We won’t know for certain what will become of Huawei in the UK before May, because that’s when the decision will be made. This also gives some time to Huawei to ante up, and apparently, it’s planning on doing exactly that. Huawei has experienced a lot of scrutiny in the past couple of months, after the US accused it of cooperating with the Chinese government to spy on the West.